Þjóðernishyggja is the Icelandic term for nationalism; nationmindedness is a rough translation of the term. Its use was instrumental in the Icelandic movement for independence from Denmark, led by independence hero Jón Sigurðsson. Þjóðernishyggja is now commonly used for patriotism in Icelandic interchangeable with another word: Föðurlandsást, i. e. Love of one's country or patriotism. There is little difference between the two in Icelandic and they are considered to be the same by most. Extreme nationalism in the English sense would be called Þjóðernissósíalismi, literally National Socialism, which political following in Iceland has faded since the war. Icelandic Nationalism or Þjóðernishyggja or Föðurlandsást is based upon the idea of resurrection of the Icelandic Free State, and its values (or what was believed to be its values): democracy, freedom of the individual, the need for the country to be independent, and respect for the cultural and religious traditions, specially the long preserved language. 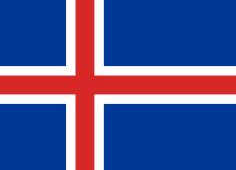 Historically, Icelanders have seen their current republic to be the reincarnation of the old Free state, and thus is Icelandic Nationalism today based upon preserving what was gained by the independence movement. Thus Icelandic nationalist sentiment, having some aspects of civic and ethnic nationalism, is highly respectful of democratic parliamentary powers (see resurrected Althing) and skeptical of foreign control over Iceland, which is partly responsible for the fact there is little will in Iceland for joining the EU.